Ashwini Honagannavar Post Graduate Scholar, Department of Kriya Sharira, Sri Dharmasthala Manjunatheshwar College of Ayurveda and Hospital, Hassan, Karnataka, INDIA. Pratibha Kulkarni Professor, Department of Kriya Sharira, Sri Dharmasthala Manjunatheshwar College of Ayurveda and Hospital, Hassan, Karnataka, INDIA. In Ayurveda, the concept of Srotas has been propagated very specifically. Srotas have a significant role in maintenance of equilibrium of body elements. Among types of Srotas, Aartavavaha Srotas is given prime importance which is only present in females. Aartavavaha Srotas are the channels which carry Aartava. Aartava can be considered as Bijarupia Aartava and Drusta Aartava i.e. ovum and menstrual blood respectively. The root of Artavavaha Srotas are Garbhashaya (Uterus) and Artavavaha Dhamani (vessels carrying Artava). Garbhashaya can be compare with uterus, that help for development of fetus. Dhamani can be compared with arteries i.e. ovarian arteries responsible for formation of Aartava (ovum) and Uterine arteries responsible for flow of Aartava (menstrual blood). Pathological changes occurs in the body due to Sroto Dushti, Sroto Sanga etc. so if any Viddha (injury) occurs to Aartava Vaha Srotas that leads to Viddha Lakshana i.e. Vandhyatwa, Maithunaasahishnutaa, Aartava Naasha. HONAGANNAVAR, Ashwini; KULKARNI, Pratibha. PHYSIO-PATHOLOGICAL UNDERSTANDING OF AARTAVAVAHA SROTAS. 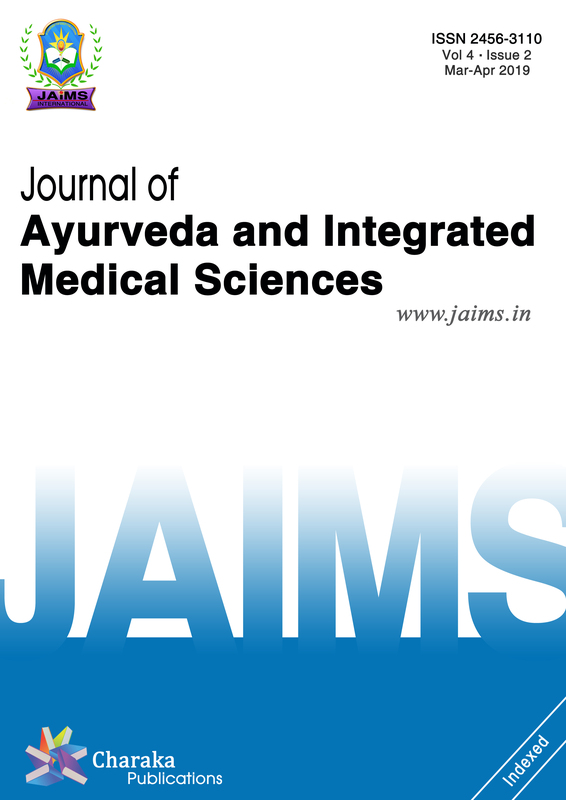 Journal of Ayurveda and Integrated Medical Sciences (ISSN 2456-3110), http://www.jaims.in/index.php/jaims/pages/view/Citation, v. 3, n. 5, p. 136 - 140, nov. 2018. ISSN 2456-3110. Available at: <https://jaims.in/index.php/jaims/article/view/690>. Date accessed: 25 apr. 2019. doi: https://doi.org/10.21760/jaims.v3i5.13831.